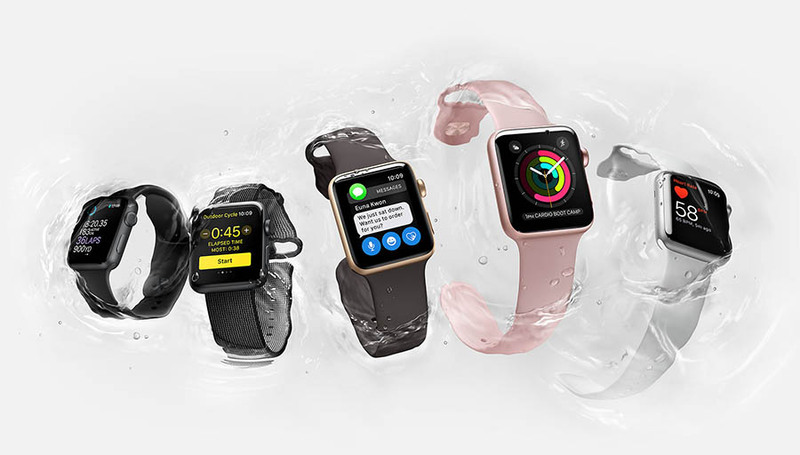 A previous report revealed the presence of LTE connectivity on the upcoming Apple Watch Series 3 wearable and it looks like there is further evidence to substantiate that claim. According to a leaked HomePod firmware, it looks like the smartwatch will indeed feature a modem to finally sever the ties for the user in carrying an iPhone for the pairing process. On Twitter, Benjamin Geskin reveals a line of code from the HomePod firmware and it is shown in the image below. In addition, the leakster also provides a bit of explanation on what some of those terms mean. This effectively means that the upcoming Apple Watch Series 3 will feature an opening that will allow users to take advantage of LTE connectivity and receive notifications seamlessly without having to carry around their iPhones for pairing purposes. According to a previously published report, Apple has tapped Intel for mass production of these LTE chips because there is an ongoing legal battle with Qualcomm that is yet to reach a consensus. HomePod firmware shows Apple Watch with LTE! Apple has said to reportedly be in talks with carriers in the U.S. and Europe regarding offering the cellular version. This means that the Apple Watch Series 3 could be offered in two models, with one featuring LTE connectivity while a regular version that will not sport that modem, and therefore be slightly cheaper. Battery life is going to be a huge task for the Apple Watch Series 3 wearable as most smartwatches are not equipped with large cells to deliver extended screen-on time for the user. Hopefully, the user will enable LTE connectivity for limited periods of time to take advantage of higher battery life sessions. Would you upgrade to the Apple Watch Series 3 if it gets unveiled later this year? Tell us your thoughts down in the comments.